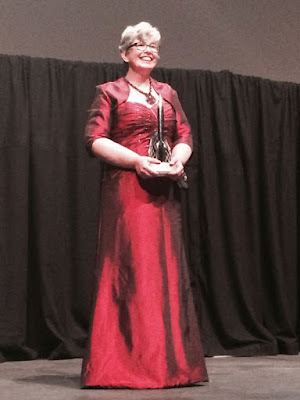 It doesn't look like the politicization of the Hugo Awards, the most prestigious awards in science fiction, are going away soon. The Hugo nominations have been released, and many of the categories are dominated by nominations from the "Sad Puppies" and "Rabid Puppies." You can read the coverage at io9, and File 770 has a table showing which books were nominated by a Puppy faction and which were not. (The "Rabid Puppies" are the Vox Day group, and the "Sad Puppies" are a more moderate conservative bloc.) File 770 covers all of this pretty thoroughly; go there if you want to know more. The Guardian also has a piece (hat tip, Eric Wagner). I tend to agree with Eric Flint that the Hugos have become largely irrelevant — it's not the 1940s anymore, and the magazines and short fiction no longer rule the genre. (Scroll down Flint's website to see his arguments.) The novels and series of novels is where it's at. Not that I think it's great to screw up the Hugos. As it happens, I've read the Stephenson and Leckie novels on the ballot and both are excellent. The Leckie is the third book of a trilogy — start with the first book of the series, Ancillary Justice.